The Physical DVDs are in standard DVD resolution of 720×480. 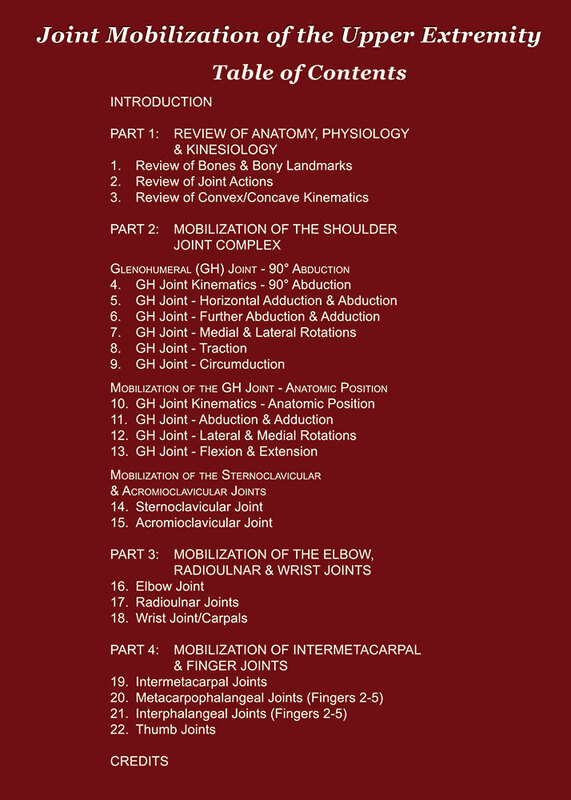 Learn how to perform joint mobilization for all the joints of the upper extremity (shoulder, elbow, radioulnar, wrist and joints of the hand). Joint mobilization is the most effective technique to loosen and stretch the intrinsic fascial tissues of the joints! As a bonus, this DVD also includes a review of kinesiology of the upper extremity. Dr. Joe Muscolino is a chiropractor in private practice and has been a manual therapy educator for more than 25 years. He explains and teaches these techniques simply, clearly, and thoroughly! This DVD is a must for all manual therapists: massage therapists, structural integration practitioners, athletic trainers, physical and occupational therapists, chiropractic and osteopathic physicians. For more video samples, click on the link below.